An IMF mission has arrived in Ukraine to resume talks on providing financial assistance to the country, which is on the brink of default. The IMF estimates Kiev needs an extra $15 billion of aid to overcome the crisis. "We are working according to the issued statement, according to the schedule," said an IMF spokesperson in Kiev as quoted by TASS. On December 29, in a press release, the IMF said it planned to start talks in Ukraine on January 8. In December 2014, the IMF said the mission was "quickly working to ensure further discussions with the Ukrainian authorities over a reform program supported by the IMF, which is aimed at stabilizing the economy and resuming sustainable economic growth." The IMF is expected to hold a number of consultations with the Ukrainian authorities by the end of January. Earlier it approved the allocation of $17 billion to Ukraine in order to stabilize the budget amid political and economic crisis. Kiev has already received $4.6 billion, the first tranche of $3.2 billion in May 2014, and the second of $1.4 billion, in early September. The allocation of the next tranche depends on how the Ukrainian authorities perform in meeting the conditions of the IMF stabilization program and implementing long-promised reforms. The decision will largely depend on the fund’s assessments of Ukraine’s budget and a series of implemented austerity measures including extra duties on imports. Head of the National Bank of Ukraine Valeriya Gontareva said late last month that Kiev expects to receive three tranches from the IMF at once. 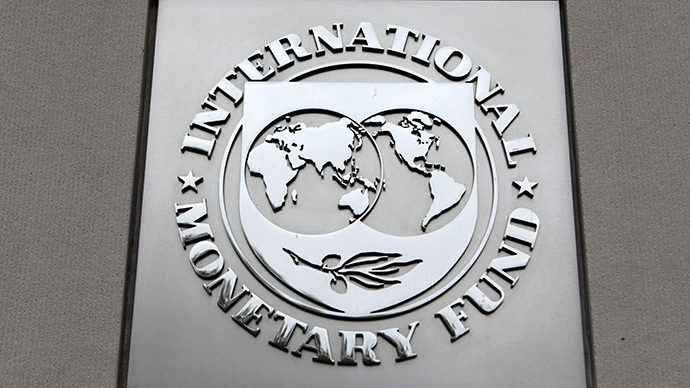 Earlier, the IMF made advances to Ukraine by allocating the third and fourth tranches simultaneously. Ukraine is waiting to receive $2.7 billion this time. In December, Ukrainian Prime Minister Arseny Yatsenuk said Ukraine risked facing default unless Western countries allocated additional funds for stabilizing the country’s economy. The IMF previously reported that Ukraine needs some additional $15 billion of financial aid along with the previously approved $17 billion to prevent a default. However, the fund cannot provide a new tranche of the initially adopted aid program until it is assured Ukrainian debt is at an acceptable level. Kiev's public debt is growing at a pace much faster than the IMF expected. The sovereign debt of Ukraine could reach 90 percent of GDP in 2015, according to the FT. The International Monetary Fund estimates this level of debt as unsustainable. The European Commission said Thursday it may credit its last €250 million ($300 million) tranche of macro-financial assistance to Ukraine by the spring of 2015. “The disbursement of the final tranche of €250 million under these programmes could be expected by the spring of 2015, subject to successful implementation by Ukraine of agreed policy measures and a continued satisfactory track record with the IMF programme,” it said in a statement. The European Commission on Thursday proposed providing Ukraine with an additional €1.8 billion of macro-financial assistance from the European Union. Earlier it was reported that Ukraine had asked the European Commission for an additional €2 billion. In 2014, the European Commission granted Ukraine €1.36 billion within the framework of two programmes of macro-financial assistance.